Mgr James Su Zhimin, 80, has done 40 years in prison; Mgr Cosma Shi Enxiang, 90, has spent 50 years. No one talks about them whilst the Chinese government says it “does not know where they are”. Many fear they might die under torture as other bishops have done before. The Vatican should demand their release as a condition for dialogue. A campaign is launched on their behalf in 2012. Rome (AsiaNews) – At the end of the year, many magazines and Websites publish a list of people who made the news in 2011 one way or the other. Usually, they are people from the world of politics or culture; sometimes, groups are recognised. For instance, this year Time Magazine picked protesters as ‘Person of the Year’, the young people of the Arab spring and the demonstrators of the world. At AsiaNews, we want to go against convention and pick someone who has never been cited by the media, someone who has never had any public recognition, someone who has been forgotten despite years of struggle for the truth, dignity and justice; in other words, the ‘Illustrious Unknown’. Like Time, our ‘Person of the Year’ is collective, namely two Chinese bishops from the underground Church arrested by police decades ago and not heard ever since. The first one is Mgr James Su Zhimin (pictured, right), the almost 80-year-old bishop of Baoding (Hebei), arrested by police on 8 October 1997. Since then, nothing has been known about the charges that led to his arrest, or his trial and place of detention. In November 2003, he was seen in a Baoding hospital surrounded by public security officers. After a quick visit by relatives, he was taken away and disappeared without a trace. The second case is that of Mgr Cosma Shi Enxiang (pictured, left), 90, bishop of Yixian (Hebei), who was arrested on 13 April 2001. Nothing is known about his fate either, even though his relatives and parishioners continue to ask police for information about him. The two deserve to be remembered alongside other famous dissidents, like Nobel Prize laureate Liu Xiaobo and the great Bao Tong, because they have been fighting for the freedom of the individual and their faith for far longer. In a certain sense, they are the dissidents’ prophets. They were the first to suffer persecution, the first to be arrested and convicted, the first to appeal to the international community and the first to be forgotten. Before his last arrest, Mgr Su Zhimin spent at least 26 years in prison or forced labour camps. Labelled a “counterrevolutionary” in the 1950s, he has always refused to join the Chinese Patriotic Catholic Association, whose goal is to set up a national Church separate from the pope. In 1996, from a secret location because he was a wanted man, he issued an open letter to the Chinese government demanding respect for human rights and religious freedom. Overall, he spent 40 years in prison. Mgr Shi Enxiang spent even more time in jail. Between 1957 and 1980, he was held in a forced labour farm in Heilongjiang as well as coal mine in Shanxi. He was re-arrested in 1983 and held under house arrest for three years. Again, he was arrested in 1989, when underground bishops set up their own Bishops’ Conference, and held until 1993. In 2001, he was detained once more. Altogether, he has spent 51 years in prison. As social unrest spreads across China over justice and dignity for workers and peasants, it is worth remembering these champions because they fought like them and before them for the truth, without taking up arms, often alone, without the comfort of social networks like Facebook or Twitter. It is worth remembering them because the Chinese regime could let them die under torture, as it did with other jailed Chinese bishops (Mgrs Joseph Fan Xueyan in 1992, John Gao Kexian in 2006 and John Han Dingxiang in 2007). It is also worth remembering them in order to show how ridiculous the Chinese government is when it tells world political leaders who enquire about the fate of the two bishops: “We don’t know”. Can anyone believe a government with a huge police apparatus, a superb spy network and a system of tight control over the population when it says it does not know the fate of two old bishops, who would otherwise receive respect and honour as required in Chinese culture? “We don’t know” is also what the Vatican is told when its representatives asks about the bishops’ fate in private meetings with Chinese officials. Fearful that they might suffer an even worse fate, their names are never mentioned in the prayers for the persecuted. The Vatican’s mild approach in its dialogue with Chinese authorities has not led to the bishops’ release, or that of the dozens of underground priests languishing in China’s laogai camps. We hope the Vatican Commission on the Church in China will make their release a condition for any further dialogue. We call on everyone, Christian or not, to remember these two champions of the faith, truth and human dignity. They get our recognition and especially our gratitude. For this reason, we want to start 2012 with a campaign in their favour. 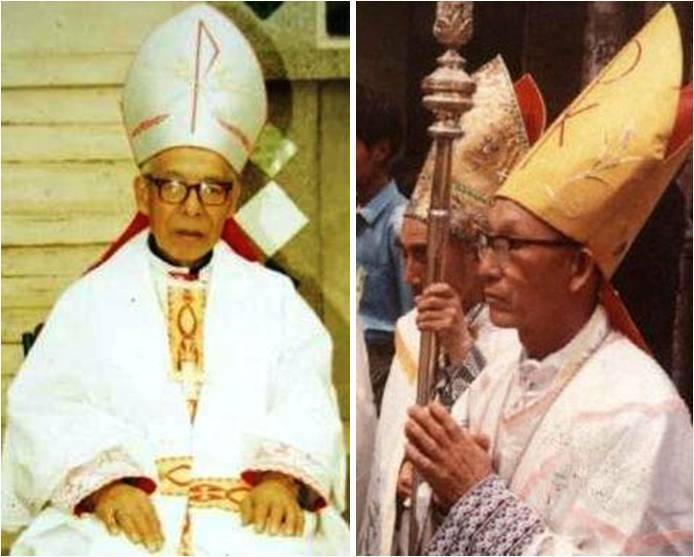 Beijing hides the body of bishop Cosma Shi Enxiang: too "dangerous"